Taxpayers and business owners of California, lest you thought that our beloved Legislature was done with you, think again. The other shoe is about to drop on your fiscal head. While you are toiling away at your jobs with the shadow of a fifteen dollar an hour minimum wage hanging over your head, standby. 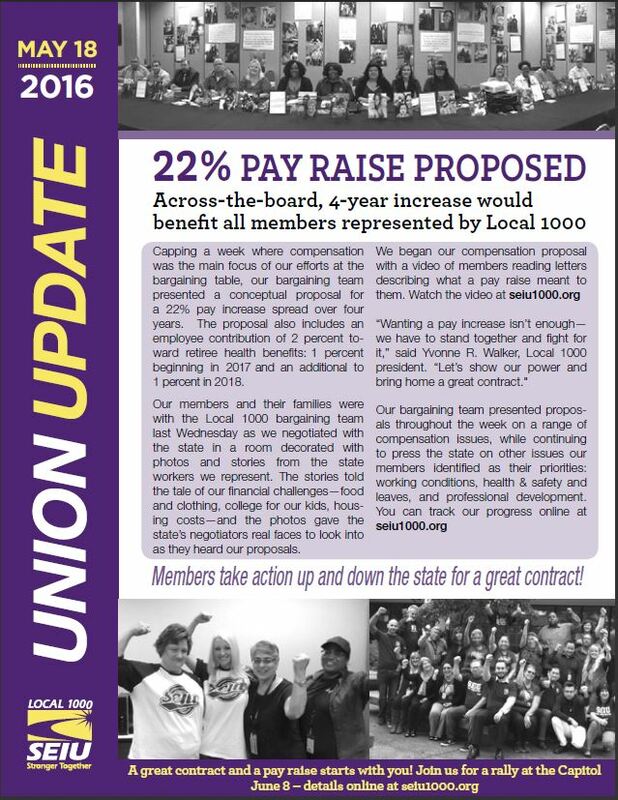 The Service Employees International Union (SEIU) has big plans for you. They are advocating an across the board 22 percent raise for all state workers that they represent. Of this, two percent of this increase will go towards retirement. Still time to go to Texas or face the wrath of these economically illiterate elites running this crazy state.